Aussies are some good natured blokes, eh? 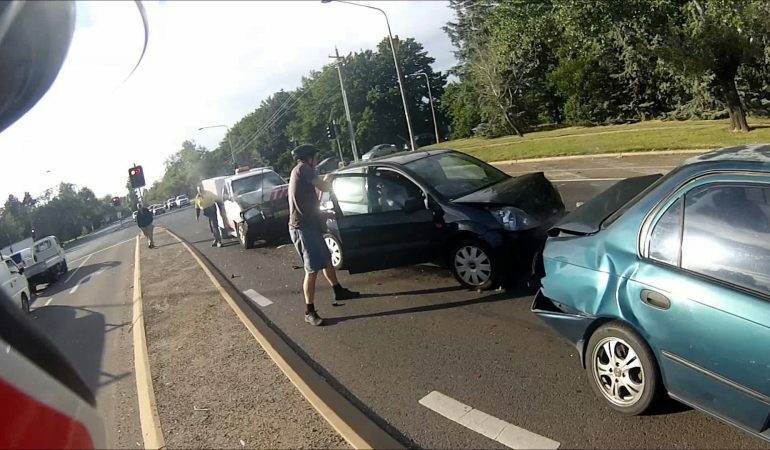 Click play and watch this brutal accident that is caused by a car slamming into the back of a motorcycle leading to pileup of four cars on some Australian road that is lined with trees that are presumably loaded with koala bears pooping out cough drops. Interesting to this American is how polite and friendly the drivers are shaking hands with one another and asking how everyone is doing. This is despite the motorcycle rider being thrown in the air by the initial crash.